This page shows different types of equipment people use for their dogs. It is important to learn how to properly use each tool as they all have a specific function. This page is not complete. More dog tools will be added. 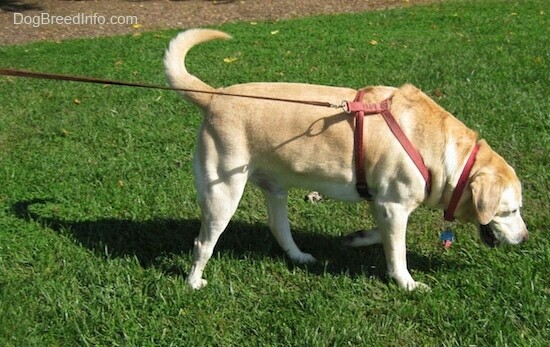 The dog harness was originally designed as a pulling tool for dogs. From sled races to weight pulling contests the harness is perfect for these sports as it holds the dog at the strongest point of the dog's body. Because of this using a harness to walk your dog may not be the greatest option as it gives the owners less control over the dog. 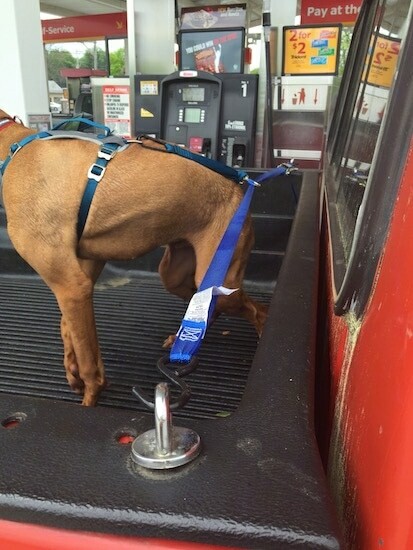 It allows the dog to use the strongest point of it's body if it does decide to pull. 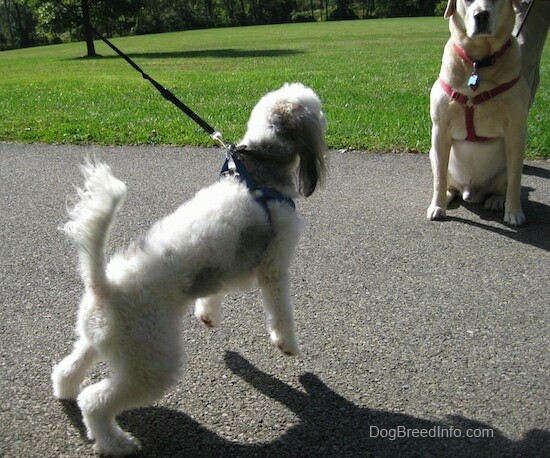 A harness is one of the hardest tools to use when training a dog to walk on a leash as it gives little control to the handler and a lot of control to the dog. 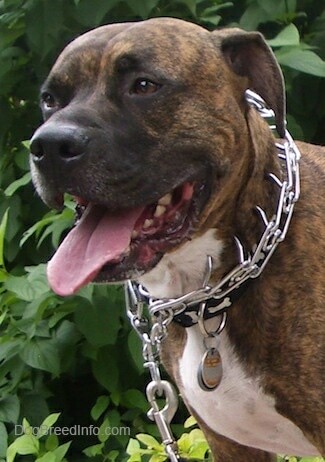 Leo the Boxer / Pitbull mix is wearing a prong collar, also called a pinch collar. When the dog pulls the collar tightens making it more comfortable for the dog to keep the leash loose. 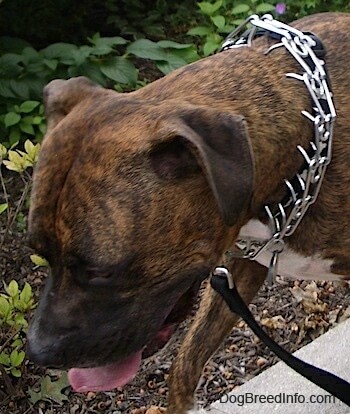 If you are going to use this type of collar you must teach the dog not to pull, as it is cruel to allow the dog to pinch and choke itself. The collar is designed to be able to give the dog a quick correction and make it more comfortable to keep the leash loose. When used correctly, this can work well for some owners. This is a seat belt made for dogs. Humans are not the only ones who should wear seat belts. 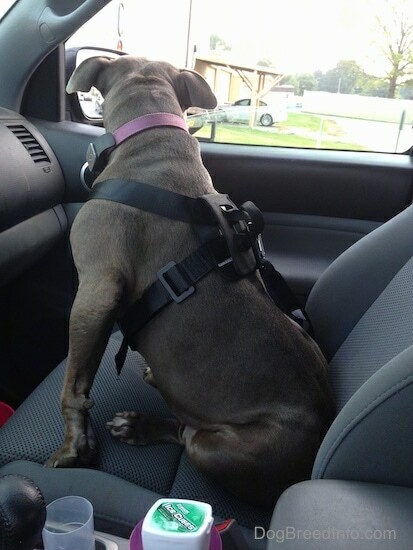 If your dog is going to be up on the seats, it is wise to buckle them in. 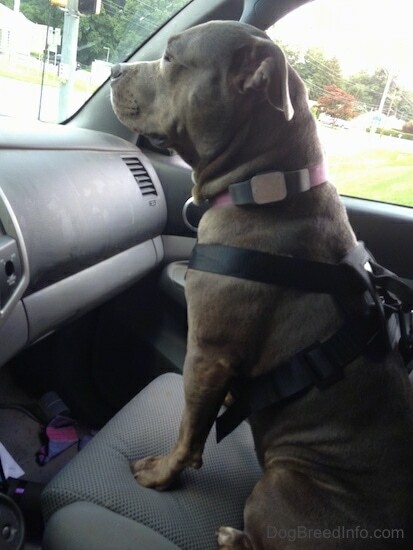 A dog wearing a vehicle safety device. 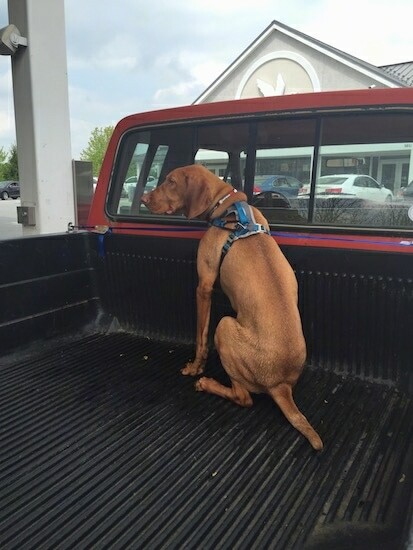 This owner made his Vizsla a homemade pick-up truck seat belt. The dog could stand, walk from side to side, sit and lay down. 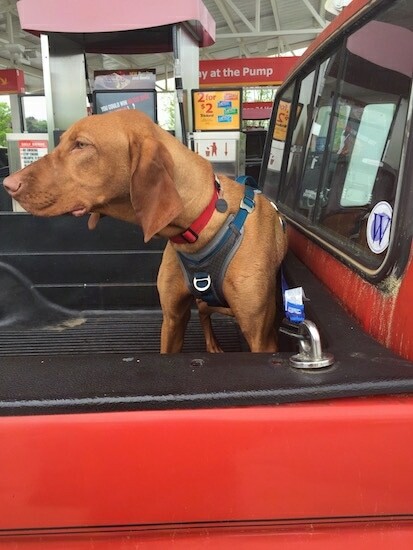 It is a way for the dog to be able to ride in the open back of the pick-up truck. 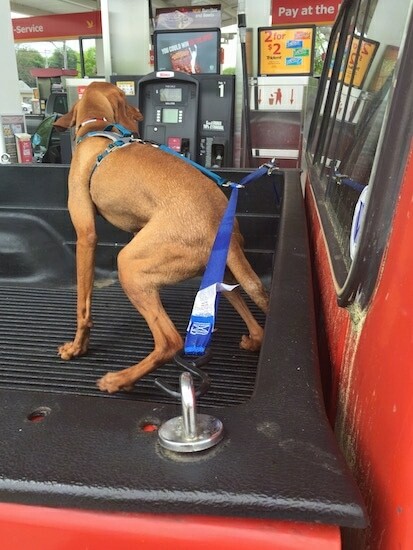 The owner said he build it to prevent his dog from jumping and falling out of the truck.